From the humble pea, I didn’t expect any particular insights or experiences. Peas, they just wait in the freezer bag or in the tin, perhaps fresh for shelling them oneself – but what could possibly be special about them? Their garden-growing and our Hunan kitchen in Austria ended up leading down peculiar paths, in the end. It all started, once again, with Xiaohe’s sense of the proper taste, according to her experience and opinion, of foods. Even in Hunan, peas are among the many ingredients used, in very simple and aromatic ways (which we’ll get to in a moment). The judgment passed on the peas available here in Europe, however, was devastating: Little sugar bombs, those sugar peas which are the only kind widely available, but hardly any taste of pea. With those, any food you make tastes like a dessert, not like a dish made of peas should taste. Reason for me to go looking for a non-sweet pea variety. 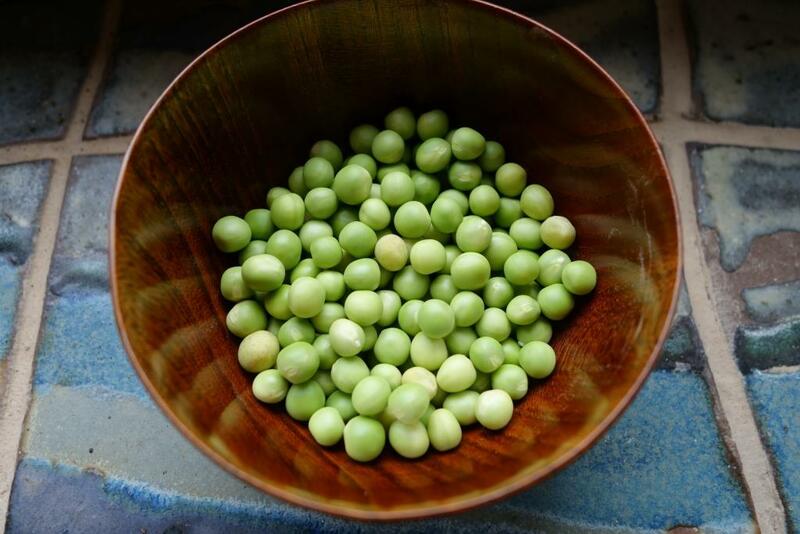 It’s all too easy to forgot, “out of sight, out of mind,” that peas have existed in several forms, not just the sugary sweet peas but also ones bred for use in (split-pea) soups, dried, or used in other ways. One variety meant for drying caught my eye. Last year’s growing, however, turned out not so well. 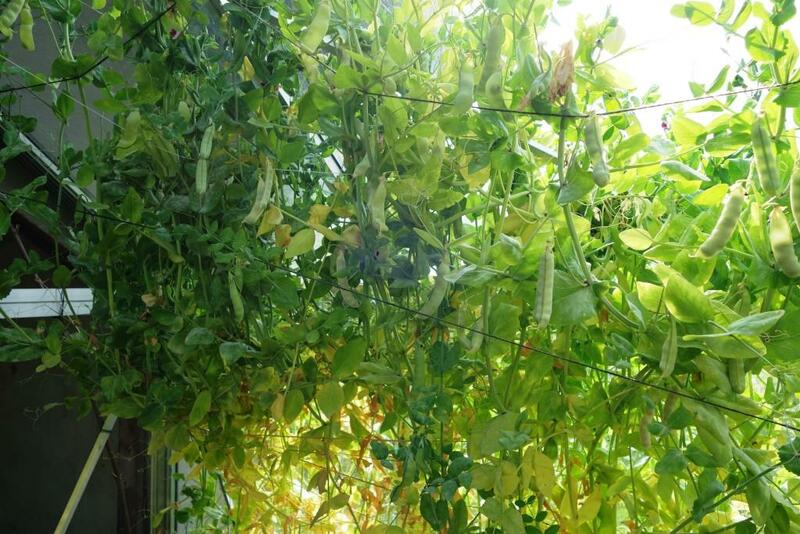 Summer saw the plants with ripening pea pods struck by a fungus that also made the peas themselves spotted and not looking like peas that should be eaten. In fact, it made me wonder if I should even plant those out again. Would I just end up spreading that fungus? You read, you learn, and so I found that I should start (and have started) the peas considerably earlier in the year. As some of the first sowings of the year, as it were. So, this year, out they went into the soil in one of the small grow houses, even as frost sometimes still struck outside. And indeed, they germinated and grew without any ill effect from the low temperatures. 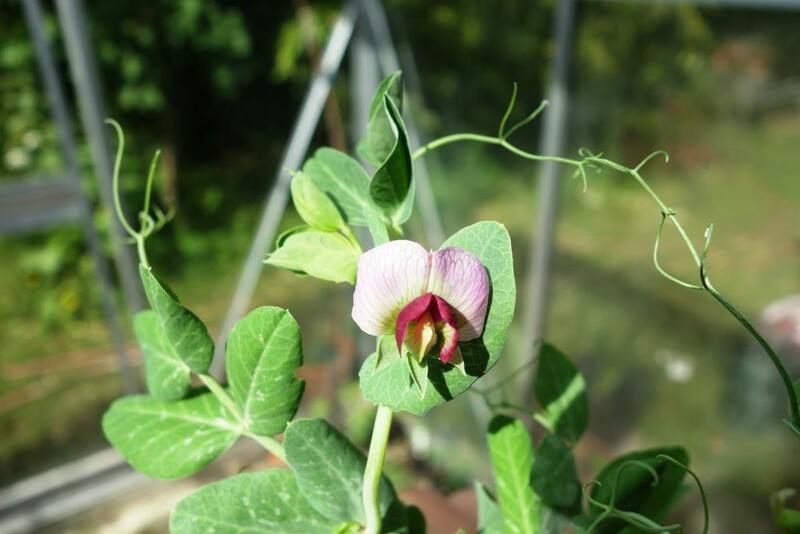 Towards the summer, in spite of some slug attacks, the pea plants had grown to man-size and finally decided to set flowers – and what beautiful flowers peas have! – and fruit. 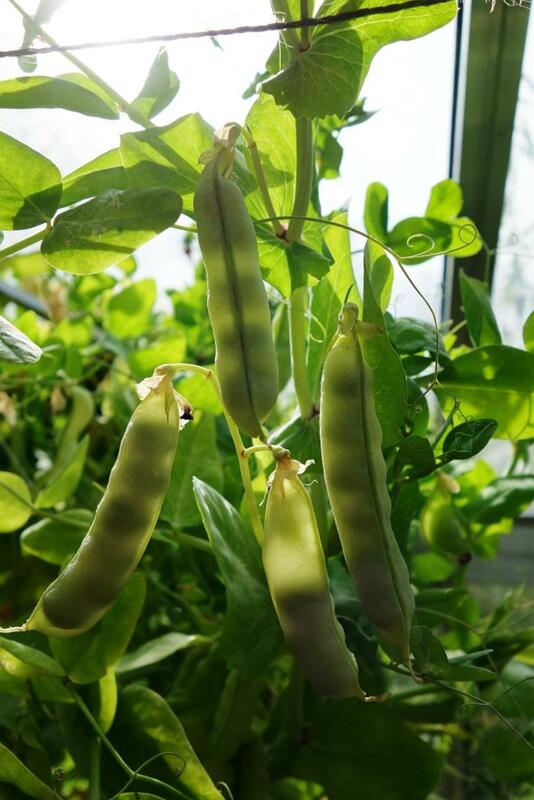 With the heat came the first signs of the return of the fungus, but also the tightening of the pea pods from the peas inside. Well then, time to harvest the peas and compost the plants. End result: Around 1 kg (2 pounds) of fine, fresh, nicely aromatic and non-sweet peas. Not a lot, but enough for a few dishes. 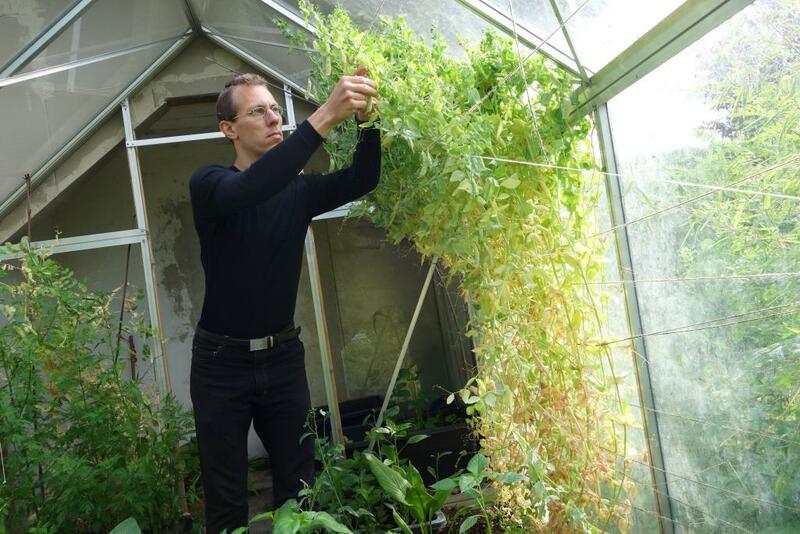 Also, some dried peas result, this time without the fungus, for next year’s growing.